HelsinkiIn: Celebrate the Europe Day! 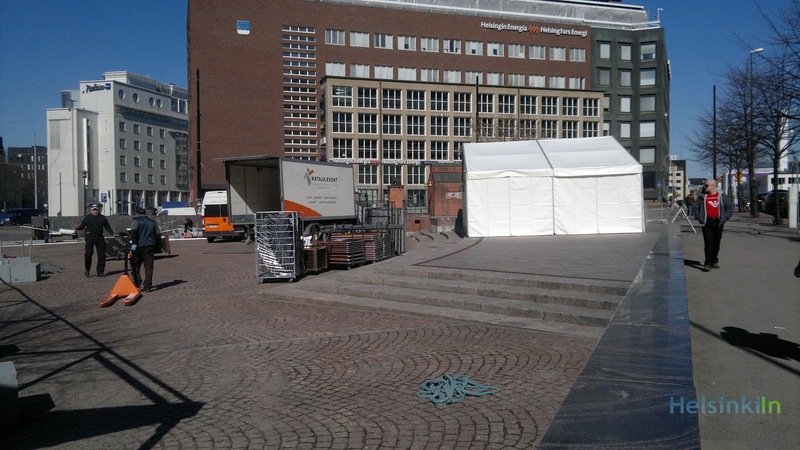 Preparations are going on at Kamppi Square at the moment. The square is being made ready for tomorrows Europe Day. The event is arranged by the European Movement officein Finland. The Europe Day will be celebrated there as a big event with an outdoor fair and live program. The embassies of the EU countries will be present. Important Finnish politicians like Prime minister Jyrki Katainen and Europe minister Alexander Stubb will be speaking. The event will start at 9 a.m. and last till 5 p.m. More information and the program for the whole day can be found on the Europe Day website.